After you go to a networking event, you’ve certainly left with some business cards. Some may be people you feel are potential clients, and others you may feel could be potential mentors or otherwise important people you should stay in touch with. Don’t make the mistake of neglecting those that you aren’t quite sure where they would fit in. Remember that when you network with someone you are connecting to the hundreds (or even thousands, if they are like Jarrod!) of people that they have in their own network. Plus, you may end up seeing these people over and over at networking events all over the city, so you might as well get to know them now! 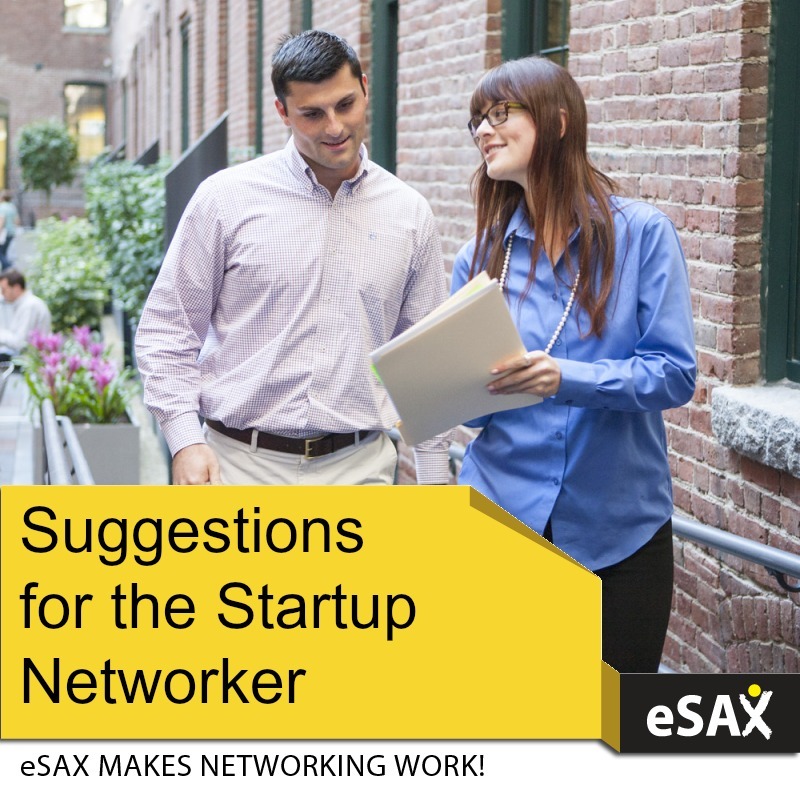 Start by organizing the cards you’ve collected by noting somewhere on each card where you obtained it (ie: eSAXOct14) and any information that you’d like to remember about each person or business. Next, add each new connection on LinkedIn. Draft a short message about how it was nice meeting them at (specific event) and that you’d like to stay in touch via LinkedIn. Once they accept your connect request you can organize them into categories by tagging them. I find this especially useful if I remember that I met someone at an event, but can’t remember their name. You just filter contacts by tag and easily find who you are looking for! The next step is to send out a personal email within 24 hours of meeting. Don’t send a form message to everyone, make sure it is personalized and picks up where your conversation from the event left off. This is also where you bring up a possible one-on-one follow up coffee or lunch meeting. We have to be sensitive to everyone’s time (because as entrepreneurs our time is our most valuable resource), so when you set up a meeting make sure each of you know what to expect so you can both be prepared. This follow-up meeting should be to develop rapport, and you should exercise your skills in asking about other’s businesses and letting them ask about yours. You are building relationships, not making sales (although these relationships may lead to sales in the long run). Finally, keep a list of contacts that you want to make a point to reconnect with. This may be through sending them another request to meet, or sending them valuable resources (such as event invitations or great articles they may be interested in). This is also where I make a point to add them to lists on my Facebook and Twitter, so I can regularly engage with them on social media. Meeting the right people at networking events in Ottawa is vital to the growth of your entrepreneurial career. If you haven’t seen it in action yet, just wait to see how the referrals start to roll in once you start becoming a known face, voice, and name in the community! 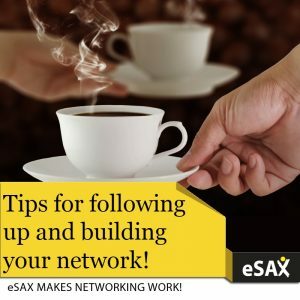 Today we are sending out some of the best networking tips we have to offer. Feel free to share your additional tips in the comments! Get your business cards ready: If you order now, you’ll have them in time for the event. Make sure you check on your stash and make sure you have plenty, because finding out right before the event that you are down to your last 10 is not fun! Don’t have business cards because you don’t have a logo or website or business yet? No worries, print some out at home or order some that contain your name, email, and phone number. Update your LinkedIn profile, website, and Facebook page (or any other place you can be found on a google search). Odds are that anyone interested in working with you will search you within 24 hours of meeting you, and you want to make sure you don’t have any expired information. Practice your elevator pitch. This should be a short summary of what you do an what makes your business unique. It should be memorable. Write it out, revise it, practice it in a mirror, practice it on friends and family. Know what you do, who your ideal customer is, and what makes you passionate about your business. Pick out that outfit to give off your best impression. Make sure you didn’t lose any buttons or get any stains at the last wild and crazy networking event you attended! Get informed on who is likely to be at the event and check out their websites and linkedIn profiles or Facebook pages. Think of some questions you can ask them. If you are going with someone else (or a group) make a game plan – make sure they know who you are hoping to meet and you know who they would like to meet, so when you split up at the event you can make sure to do introductions. Log into twitter and make sure it’s still there – that you know how to use it! 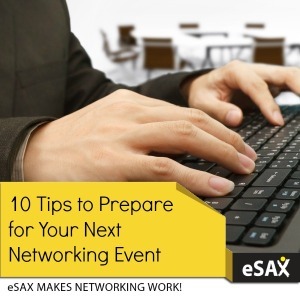 Practice with us at our live tweet events, because if you tweet at the eSAX networking event you can be entered to WIN prizes! Tickets will be available at the door after Pre-Registration closes! Once a year eSAX moves the Ottawa Networking Event to a new location. I love the Funhaven location, but I also enjoy the fun of visiting a new place and stirring things up. In a way, it takes us out of the “comfort level” we can reach, and it ensures that we never lose that “new” feeling. This is one of the reasons why eSAX is so great at helping entrepreneurs constantly grow, learn, and develop as successful business people. Jarrod has just announced that this year the October event will be held at the Ottawa Marriott on 100 Kent Street! Not only do we get to enjoy our night at a luxury hotel, but we also get the exclusive benefit of one of the best views in the city from the revolving event venu! This location does have free Wi-Fi, so don’t forget to live tweet while you are there! Make sure you don’t miss one of the most fantastic Ottawa networking events on October 8, 2014! Get your tickets now on EventBrite to make sure you reserve your spot! http://esax.ca/wp-content/uploads/2016/11/eSAX-2016-logo-200.png 0 0 Jessica Ripley http://esax.ca/wp-content/uploads/2016/11/eSAX-2016-logo-200.png Jessica Ripley2014-08-05 00:05:212014-08-05 00:05:21eSAX October 2014 Location Change! Looking back to when I first began attending Ottawa networking events, I really had no idea what I was getting into. Growing-up, I never had an interest in anything to do with business, let alone entrepreneurship or networking. In fact, I’d never spent much time among entrepreneurs and never had an ambition to run a business, let alone two! 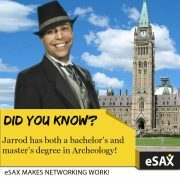 The main reason I started frequenting entrepreneur networking events in Ottawa was to initially get gigs for Sax Appeal. This was my only motivation. After working so many short-term government contracts for too many years, my ‘wake-up call’ was that I needed to create my own future, rather than rely on others and the whim of federal government human resource practices. 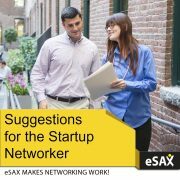 When I first created Sax Appeal back in 2011, I realized I needed to network to get work since no one will ever consider hiring an all-saxophone ensemble for a wedding or cocktail reception. In effect, I was creating a new market and trending into un-tested waters. After playing and studying the saxophone for close to 30 years, I knew my trade and was entirely confident in my ability. What I didn’t know, however, was anything about business and networking ‘etiquette’. Having never associated myself with entrepreneurs, I didn’t know the first thing about networking. What I did learn quickly, however, is to always have enthusiasm. I learned right away that people remembered meeting me because of it. Ask yourself what is one common characteristic other successful entrepreneurs have. Perhaps you will agree that it’s a genuine love of what they do. Yes of course I was nervous when I was first starting out, sometimes thinking to myself “who is going to buy-into this unique kind of band?” The way I dealt with this self-doubt was to compartmentalize it and simply not dwell. My incentive was that I HAD to make Sax Appeal a reality since there was no way I would ever go back to working governmental contracts again. I started gaining confidence in the fact that I alone knew what I was offering better than anyone else in the world. Plus, hiring some of the best musicians in town, I knew the music quality to be second to none. Having complete and utter confidence in what I offered allowed me to exude genuine self-assurance that was easy for everyone to see. This alone was half the battle for learning networking skills since people have an uncanny knack for ‘seeing through fake’. Another way I treated networking was to follow-up with every single person I met ASAP (something that I continue do to this day). 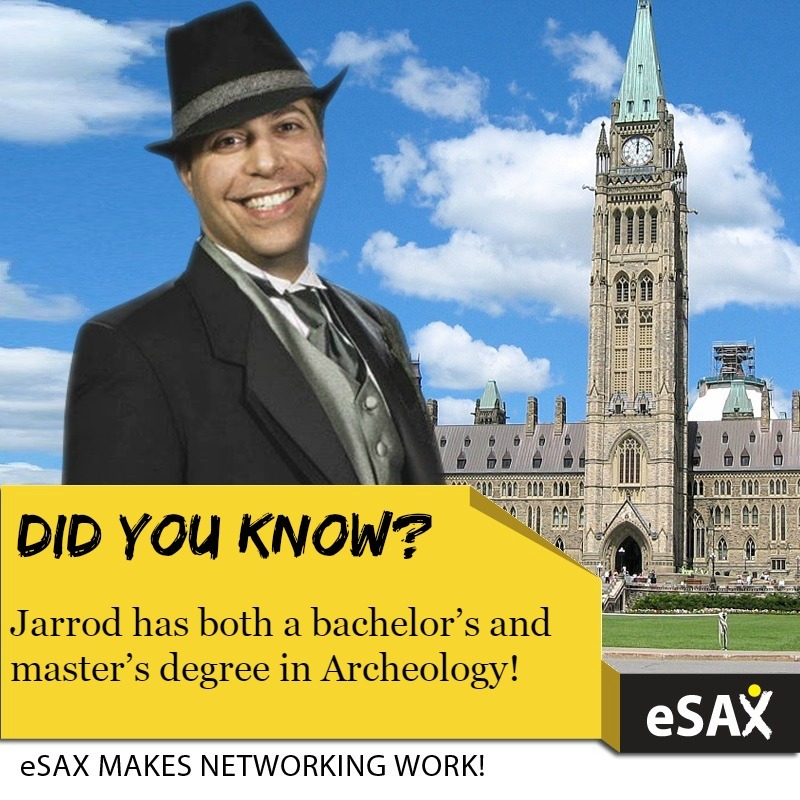 I realized that almost no one is ever going to need my services at that exact moment, so in effect, I was purposely developing a long-term strategy so that when others need music, they would think about that sax guy with the fedora. Like most people, I spent many hours drafting a 30 second elevator pitch and used to carry it around with me in my pocket. After the first few dozen networking events or so, I realized that it wasn’t necessary to turn every first greeting into a robotic ‘sales-pitch’. The more I listened to other people talk, the more it enabled me to ask questions. It was not until well after the first year of attending networking events in Ottawa did I realize the value of letting other people talk. I quickly realized that the best form of marketing was face-to-face. Sure I use a ton of social media exposure, but nothing will ever compare to chatting in person, observing body language and developing a genuine connection with someone. When I was in New York a few years ago and wanted to visit one of the most well-respected concert halls in the world I asked someone on the street how to get to Carnegie Hall. They replied practice, practice, practice. The same goes for networking events. Keep at it and you’ll get better and better. 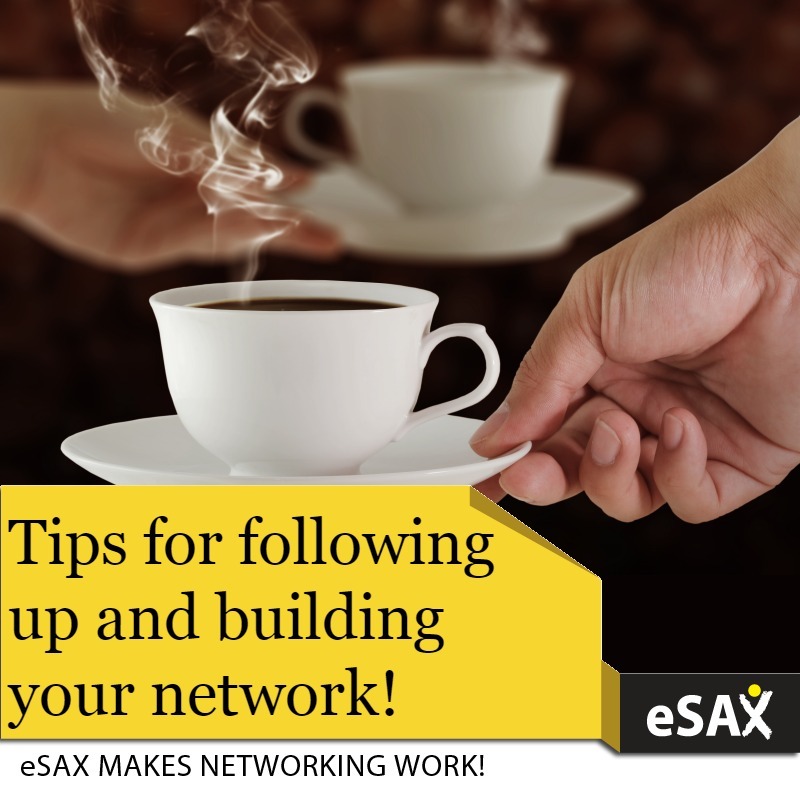 Happy networking, and best wishes for all your business success!